USA World Cup Qualifying Team to play on the poad versus Argentina on Nov. 29 and Uruguay on December 2. Hearn, Randle and Trice return after playing with previous USA World Cup Qualifying teams. Hearn has suited up for the USA in three prior World Cup Qualifying windows, including November 2017, June/July 2018 and September 2018. The 6-foot-4 guard started in four of the five games he has played in andaveraged 12.2 points and 4.2 rebounds a game. Randle and Trice both played for the U.S. in the September 2018 World Cup Qualifier and helped the USA to two wins. Randle averaged 9.0 points a game, and Trice contributed 8.5 points and 4.5 assists a game. Eight of the U.S. players have NBA regular season experience, including seven-foot NBA veteran Zeller ( 406 games with the Cleveland Cavaliers, Boston Celtics, Milwaukee Bucks and Brooklyn Nets). Other players possessing NBA experience include Hearn (three games with the Detroit Pistons); Hopson (three games with the Cavaliers and Dallas Mavericks); Jenkins (145 games with the Atlanta Hawks, Phoenix Suns and Mavericks); Liggins (177 games with the Orlando Magic, Oklahoma City Thunder, Miami Heat, Cavaliers, Mavericks, Bucks and New Orleans Pelicans); Moreland (78 games with the Sacramento Kings and the Pistons); Randle (26 games with the New York Knicks and Philadelphia 76ers); and Stokes (28 games with the Denver Nuggets, Memphis Grizzlies and Heat). Eleven of the players own NBA G League experience, including nine who are playing in the NBA’s official minor league in 2018-19. With a total of seven 2019 FIBA World Cup qualifying berths going to the top three finishing teams in each of the Americas second round groups and to the best fourth place team, Argentina (7-1) and the USA (7-1)sit atop of the second-round Group E standings, followed by Puerto Rico (5-3) and Uruguay (5-3), with Mexico (3-5) and Panama (3-5) in fifth place. In Group F standings, Canada (7-1) and Venezuela (7-1) are tied for first, followed by Brazil (6-2), Dominican Republic (5-3), U.S. Virgin Islands (2-6) and Chile (1-7). 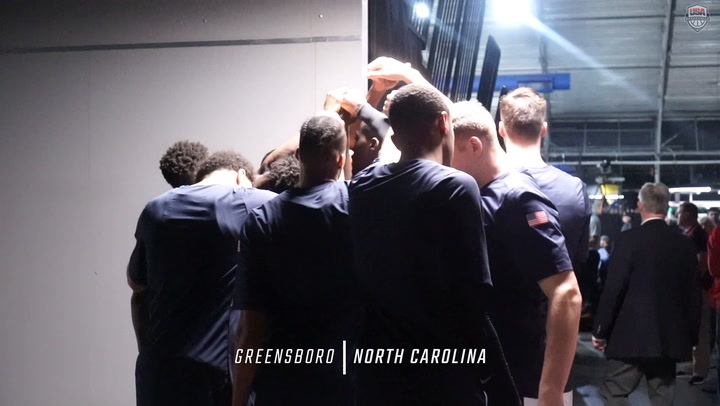 The USA will completeits World Cup Qualifying competition with a pair of second-round February home games in Greensboro, North Carolina. The USA will playPanama on Friday, Feb. 22 (7 p.m. EST), and Argentina on Monday, Feb. 25 (7 p.m. EST). Under FIBA’s new competition system, a total of 80 national teams from FIBA’s four regions of Africa, Americas, Asia and Europe initially competed in the FIBA Basketball World Cup 2019 Qualifying first round looking to earn a qualifying berth into the 32-team 2019 FIBA Basketball World Cup competition that will be held Aug. 31-Sept. 15 in China. The FIBA World Cup Qualifying games are being used to qualify 31 of the 32 nations that will compete in the 2019 FIBA World Cup. China automatically qualified as the host nation of the 2019 FIBA World Cup. Five teams will qualify from Africa, seven teams from the Americas, seven teams from Asia and 12 teams from Europe. 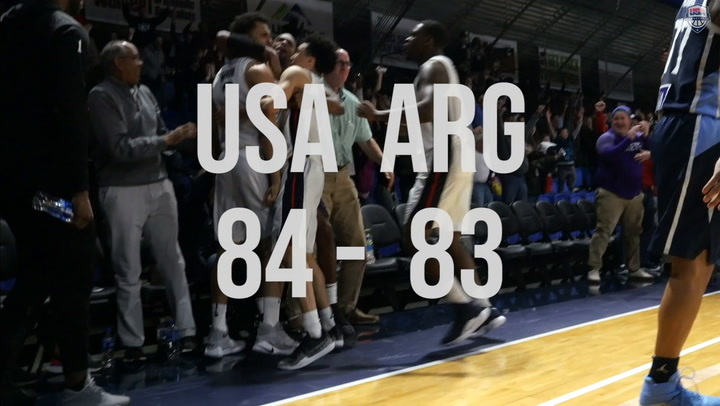 Take a look and listen in for the best sights and sounds from the USA's win at the buzzer versus Argentina in FIBA World Cup Qualifying action. 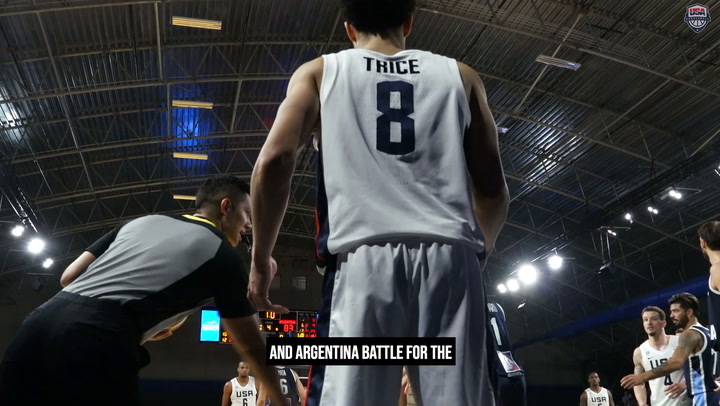 Relive the shot and the USA World Cup Qualifying win vs Argentina from every USA Basketball angle. 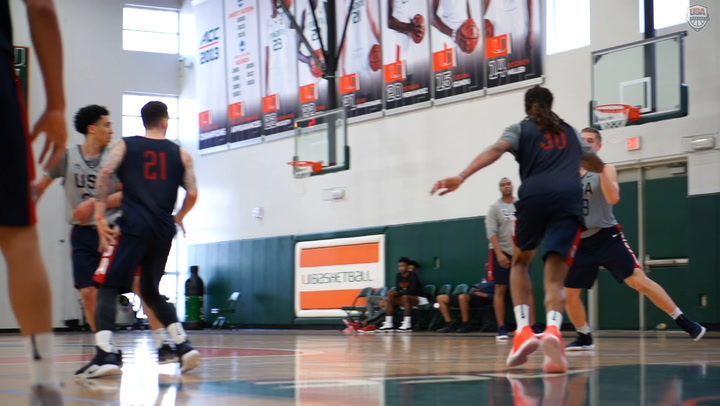 Take a look and listen in for the best sights and sounds from USA's big win over Panama in the FIBA World Cup Qualifiers. Ten games down, two more to go. 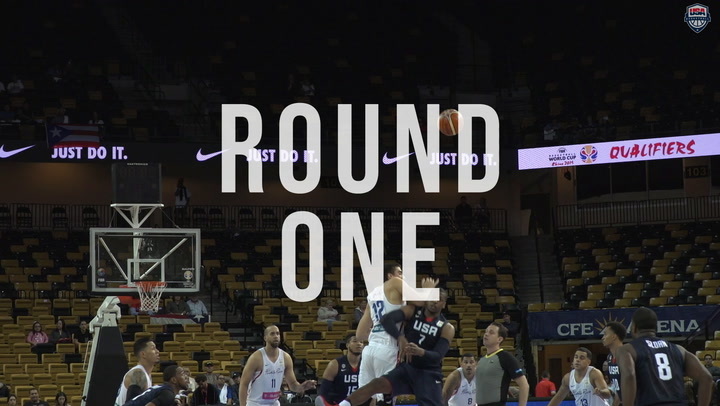 Relive USA Basketball's journey towards qualifying for the FIBA Men's World Cup of Basketball.